Peru and Bolivia boast diverse climates and varying terrain, creating a region that’s jam-packed with endless opportunities for adventure. From hiking the jagged peaks of the Andes to gentler, family-friendly outdoor escapes like kayaking, biking and sand-boarding that bring you into close contact with the countryside, desert and rainforest, Peru and Bolivia are dream destinations for any adventure traveler. 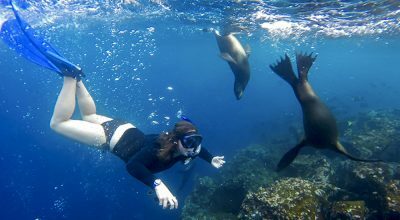 Whatever your interests, adventures in Peru and Bolivia can be tailored to suit your activity level. 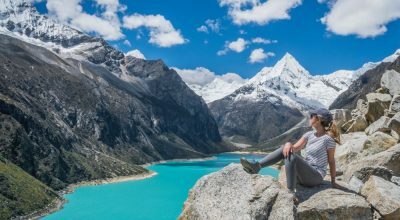 With options for day treks to Quechua-speaking villages, luxury camping in the Andes and multi-day lodge-to-lodge treks to Salkantay or Ausangate, there are options for trekking in Peru and Bolivia to suit all fitness and experience levels – with the comfort level that suits your level of adventurousness. All of our hikes are on a private basis. Read more on our top Peru trek options. As experts in private, tailormade travel to Peru and Bolivia, our adventure activities are tried and tested by our locally-based travel team. We like to think our adventures in Peru and Bolivia offer an appropriate level of luxury, and are always arranged on a private basis. Top-of-the-range equipment and expertly trained guides are ‘standard’, with behind-the-scenes details like support vehicles and porters taken care of. We want you to get outdoors in style – and safely. And if you’re looking to camp, we offer two service standards in Peru: Luxury Exploration Camping, for those looking to explore in comfort, or Luxury VIP Trekking, when you can expect your own dedicated masseuse. Cusco and the Sacred Valley are home to a myriad of treks and some of the widest range of adventure activities available in the country. Hike, bike or horse-ride to little-visited ruins, paddle board and kayak on high altitude lakes and raft down class III rapids – just a few of the thrills in the area. Base yourself in one of the best luxury hotels in the Sacred Valley, or go off-grid with a night’s glamping, multi-day camping or hiking lodge-to-lodge. Often compared to mountain ranges like the Himalayas, The Cordillera Blanca in the northern Andes of Peru is the highest tropical mountain range in the world. It boasts more than fifty snow-capped peaks above 5,700 meters (18,700 feet), including Peru’s highest mountain Huascaran (6,768 metres/22,204 feet). There are comfortable (not luxurious) lodges like Llanganuco Lodge that make for the ideal base for day hikes to the likes of the sparkling glacial lake of Laguna 69, or before trekking the popular Santa Cruz camping trek. The Amazon rainforest, which expands into both Peru and Bolivia, is famed for its biodiversity. Climb treetop canopies, take a boat ride to search for caiman, and explore the forest with scientists. Excellent authentic and luxury Amazon lodges in Peru include Tamboapata Research Center, and the more easily accessible Inkaterra Reserva Amazonica. In southern Peru lies the second deepest canyon in the world, the Colca Canyon. Asides from the main draw – spotting Condors – you can explore the countryside with hikes to forgotten pre-Incan fortresses or horseback riding through terraced fields and villages that seem unchanged with the passing of time. Colca Lodge and Belmond Las Casitas make for the best bases to explore this area. Like Peru, Bolivia is bursting with rich biodiversity and environments ripe for adventure and exploration. 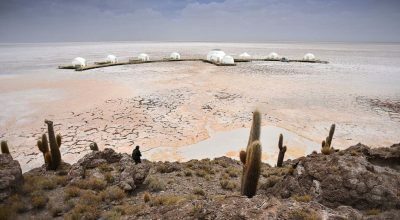 Bolivia’s crown-jewel is the salt falts of Uyuni, which is an adventure in itself. Traverse this vast expanse by 4×4, climbing over cacti-studded islands. Venture to neighboring Eduardo Avaroa National Park, staying in basic local lodges, for more sublime scenery. The unique geography of the high-altitude capital, La Paz, makes it perfectly positioned as a stepping stone to a plethora of nearby hikes, with nearby snow-capped mountains moving into jungle terrain. Day treks include the likes of Palca Canyon, with views of the Illimani Mountain towering in the distance. The very brave can hop on two wheels to mountain bike the notorious ‘World’s Most Dangerous Road’ with its jaw-dropping cliff edges. The Cordillera Real Mountain Range offers many routes and multi-day camping treks, like the demanding Choro Trek. 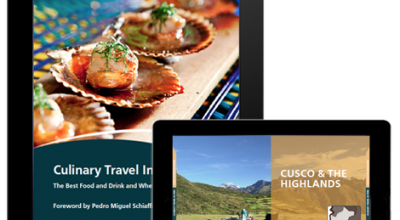 Whether you are a high-energy, adventurous spirit aiming to explore the rugged side of Peru and Bolivia, or just looking for a taste of the outdoors on your trip, our expert travel team are here to share their top recommendations to suit your travel style and activity level.